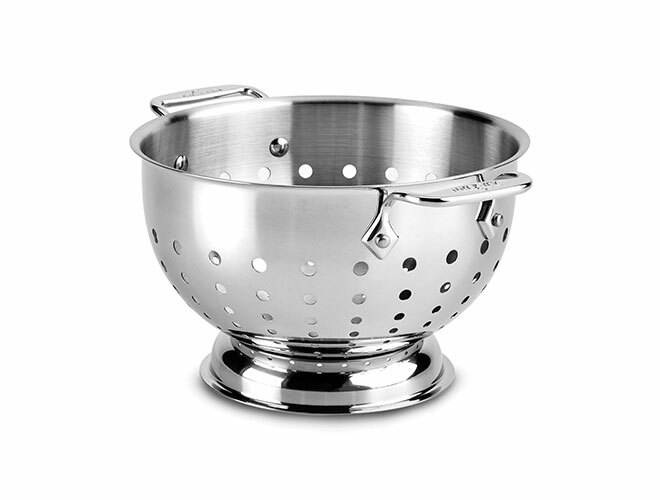 The All-Clad Stainless Steel Colander is ideal for rinsing fresh fruits and vegetables, draining a big batch of pasta, or storing onions and potatoes. 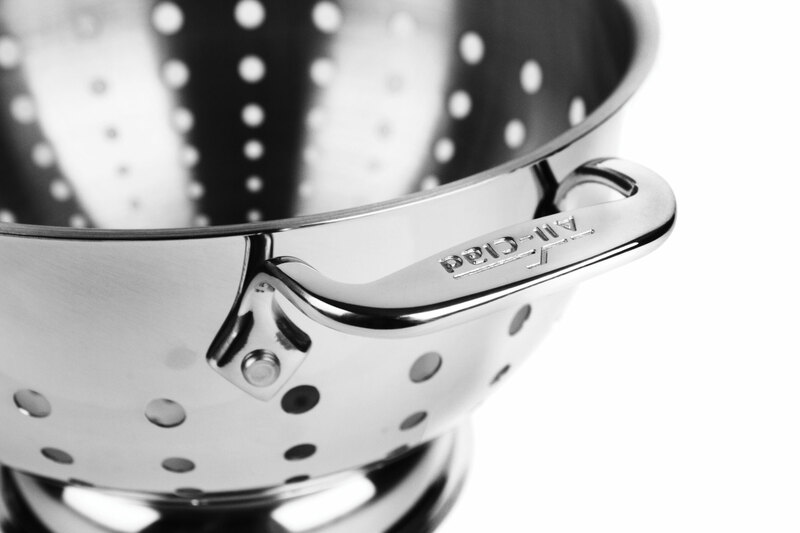 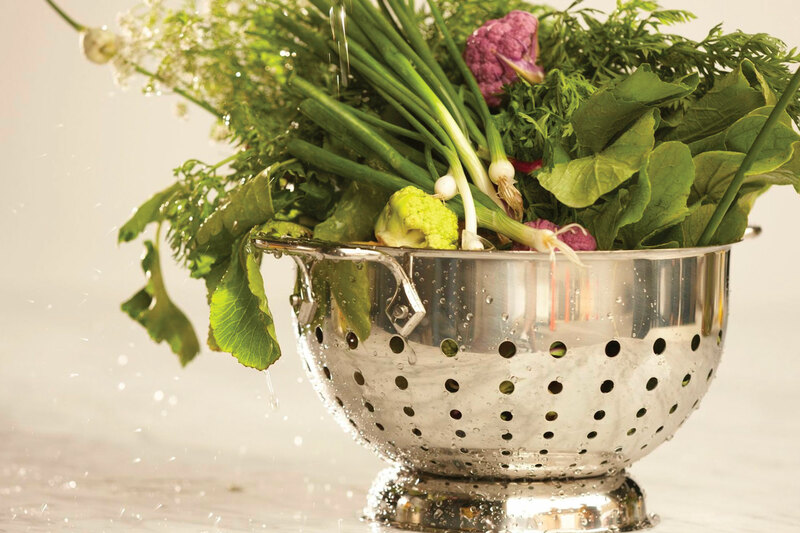 The colander is made of heavy, 18/10 stainless steel polished to a gleaming mirror finish. 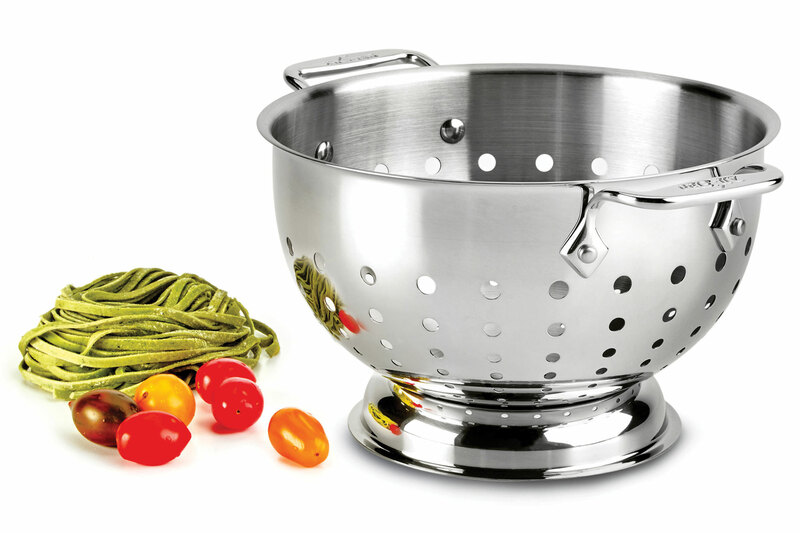 Features two generously sized riveted loop handles and a pedestal base for stability. 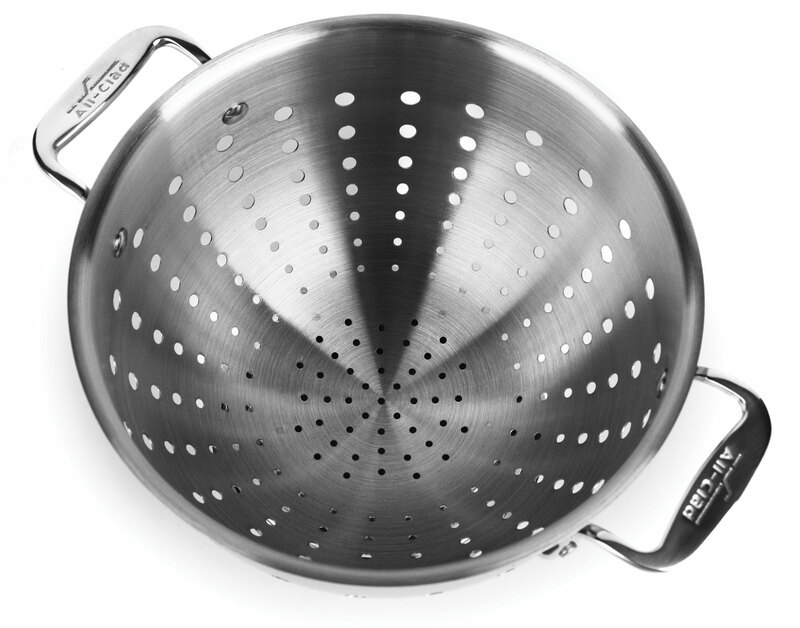 The larger holes at the top and the smaller ones at the bottom promote quick drainage and let air circulate, while the rolled edges permit pouring without dripping. 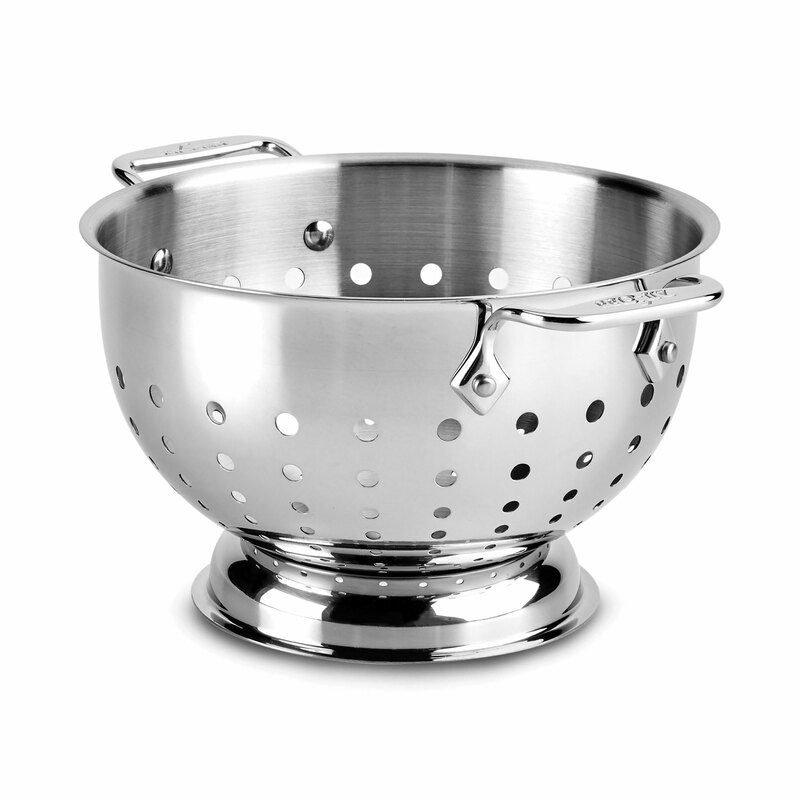 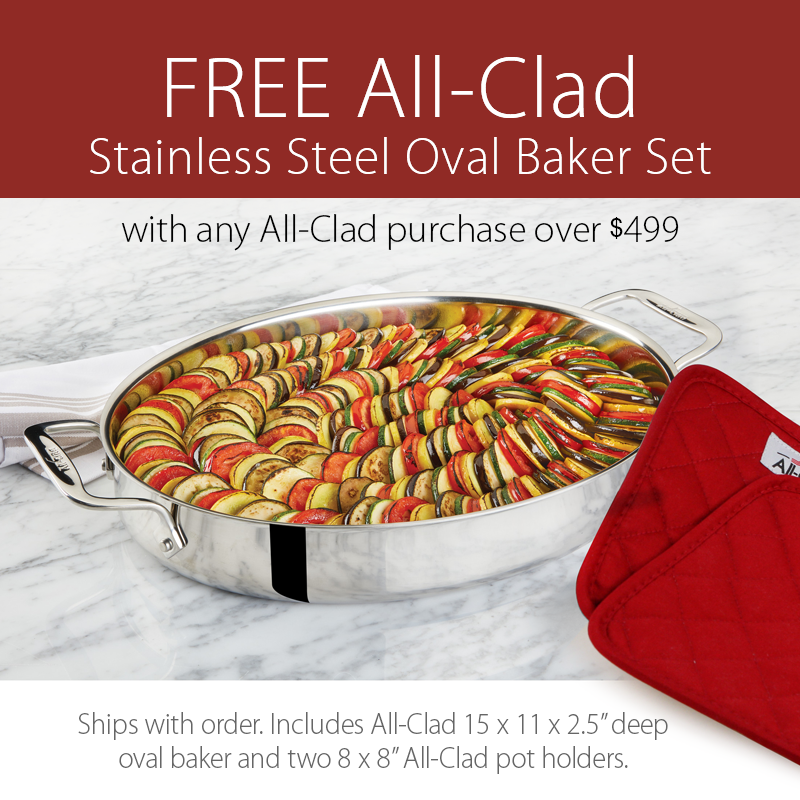 Even more, this All-Clad colander offers dishwasher safe convenience and a lifetime warranty.